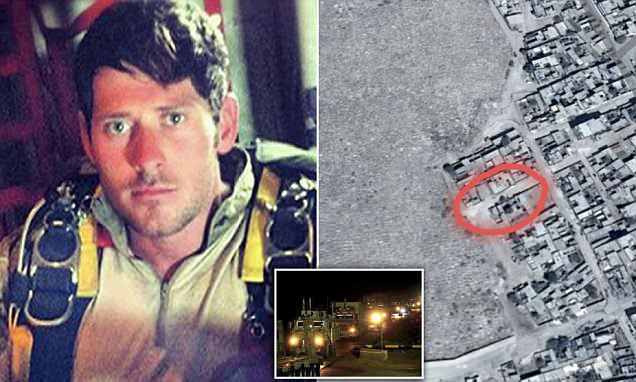 The first British soldier to be killed in Syria during an undercover mission in Manbij on Thursday against the Islamic State (ISIS) might have lost his life because of a bomb planted by Turkey backed Free Syrian Army (FSA) forces according Special Air Service (SAS) sources wrote the Mail on Sunday. The SAS source talking to the newspaper added that the British soldier was “part of a joint UK-US Special Forces team which was working with local Kurdish troops in a bid to stabilise” Manbij. The source also told that the jihadists in Manbij are aligned with FSA to take over the city, which was reclaimed from ISIS by the U.S. backed Kurdish forces in 2016. Yhe SAS source also told that SAS forces were withdrawing from the area over because of “the fear of a proxy conflict between fellow Nato members”. Turkish troops, backed by Islamist FSA fighters seized the Syrian town of Afrin on March 18 after a two-month offensive against Syrian Kurdish forces the People’s Protection Units (YPG), which Turkey sees as an arm of the Kurdistan Workers’ Party (PKK) that has been fighting inside Turkey for more than three decades. The YPG denies any direct link to the PKK and has made up the bulk of U.S.-backed forces that have all but defeated ISIS in northern Syria. The United States says Turkey’s offensive against the YPG is weakening the fight against ISIS. On March 27, Turkish pro-government newspaper Yeni Şafak wrote that more than 10,000 Free Syrian Army (FSA) fighters allied to Turkey have completed most of their preparations for an offensive against the Kurdish-controlled Syrian district of Manbij and are awaiting orders from Turkish President Recep Tayyip Erdoğan. The following day, Turkey’s top military policy body, the National Security Council declared that Turkey will not hesitate to take initiative in Manbij unless Kurdish forces withdraw from the area. The Ministry of Defence has named the soldier killed in action in Syria on Thursday as 33-year-old Sergeant Matt Tonroe from the 3rd Battalion the Parachute Regiment.